Welcome to the Social Art Studio! 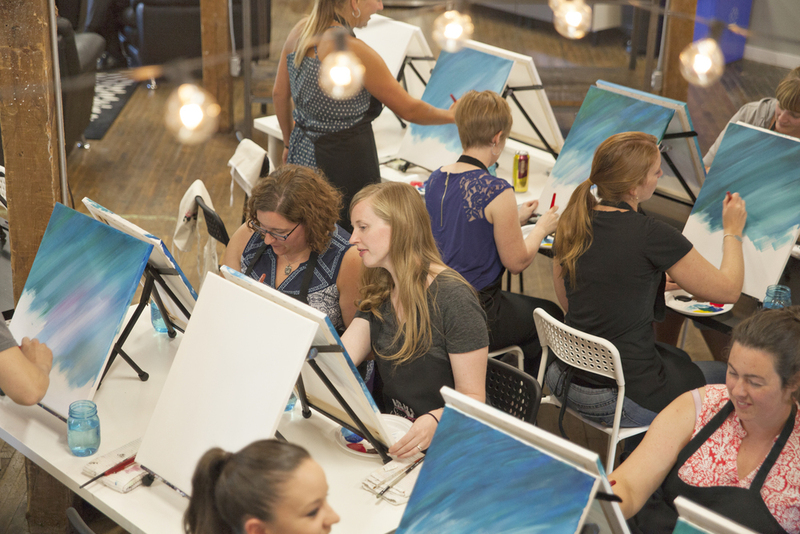 Opened August 2015, the studio is an exciting addition to the Social Art experience! Hosting regular events as well as private events, the studio is the perfect place to have some creative fun. Feel free to bring your own non-alcoholic drinks, munchies, or order in food! 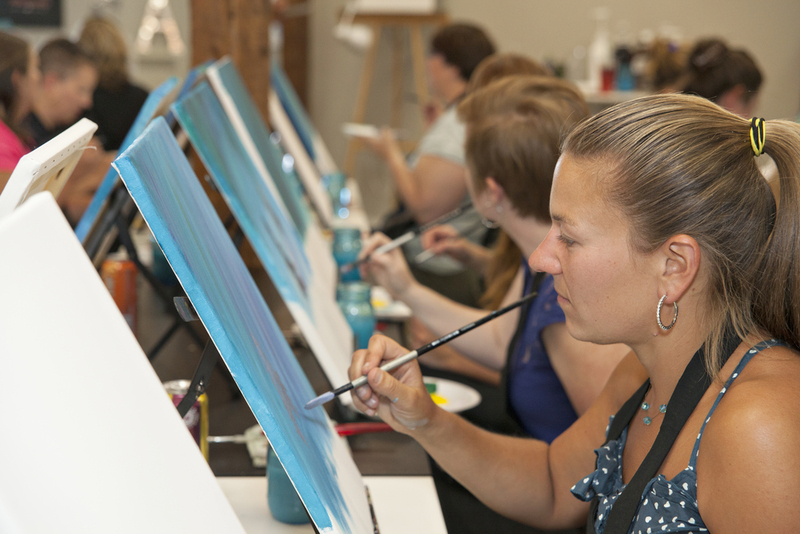 Classes are available for your next corporate, team building or personal painting party! Feel free to Contact us with any questions or to book your private event today! Photos of Studio by Sylvia Pond Photography.